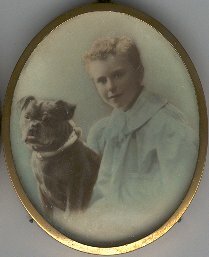 Robert, William and Una were the first, third and fourth children of Violet and John Dunville. 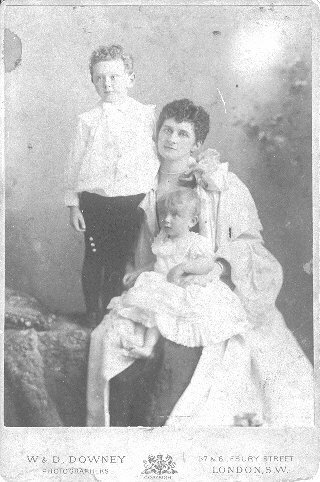 Their second child, John Spencer Dunville, is not shown on this page. The photographs above were very kindly provided by Christopher Dunville, who is a great-great-grandson of Violet and John Dunville. The name of the photographers on the left photograph is W. & D. Downey of Ebury Street, London S.W. Below this photograph is written "Your Friend. 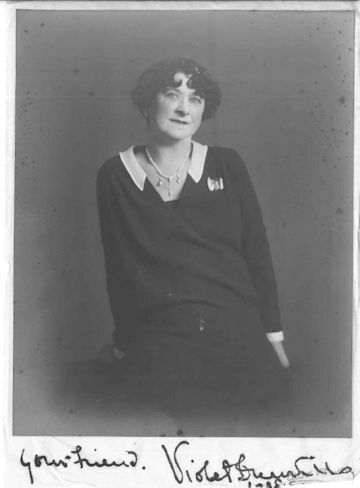 Violet Dunville". This photograph was very kindly provided by Gordon Thompson (Junior), who is a grandson of Tommy Thompson, the Gamekeeper of Redburn House. The word "Butler" is missing from the Hedges Butler Challenge Cup. The scroll on the cup shows Montgolfier and Charlier (hot air and gas balloons) on the left and the Santos Dumont Airship passing the Eiffel Tower (in 1901) on the right. 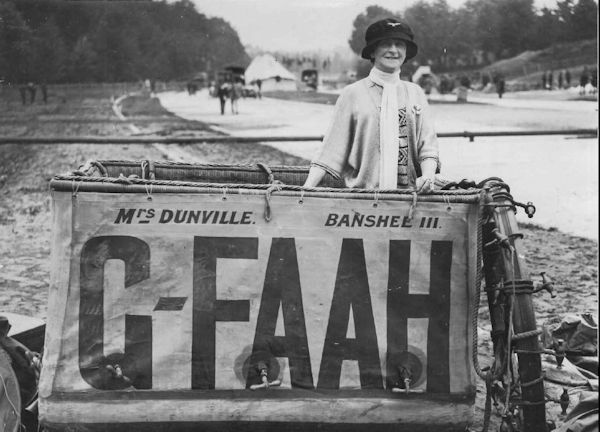 It was won by Mrs. John Dunville in Banshee II in 1912, 1913 and 1914 and so under the rules became her property. 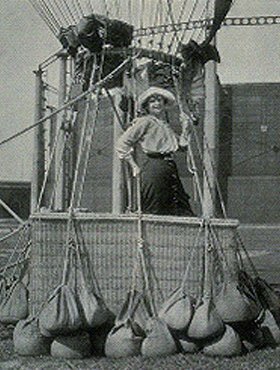 This information was very kindly provided by John A. Baker, Chairman of the British Balloon Museum and Library. 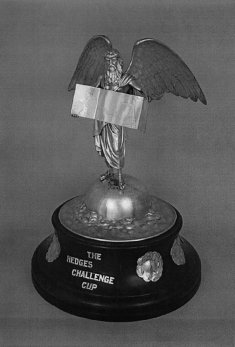 The photograph of the Hedges Butler Challenge Cup is from Robert Lambart Dunville's albums, which are in the care of the RAF Museum, London. At the top left of this photograph is written "Better luck next time! best love Mother." 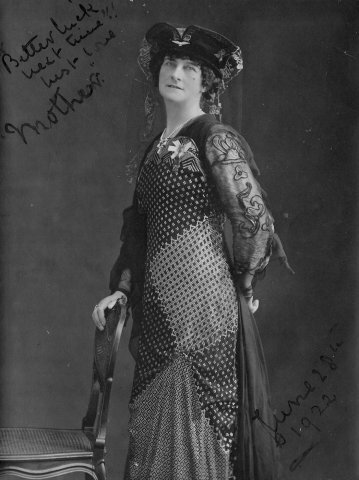 At the lower right is written "June 28th 1922". This photograph was very kindly provided by Gordon Thompson (Junior), who is a grandson of Tommy Thompson, the Gamekeeper of Redburn House. who is a grandson of Tommy Thompson, the Gamekeeper of Redburn House. which are in the care of the RAF Museum, London. 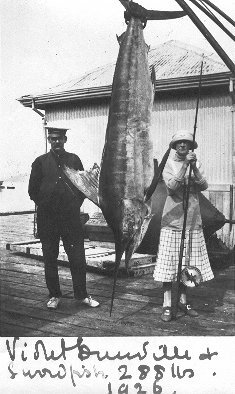 At the foot of the photograph on the left, in Violet Dunville's handwriting, are the words "Violet Dunville & Swordfish, 288 lbs. 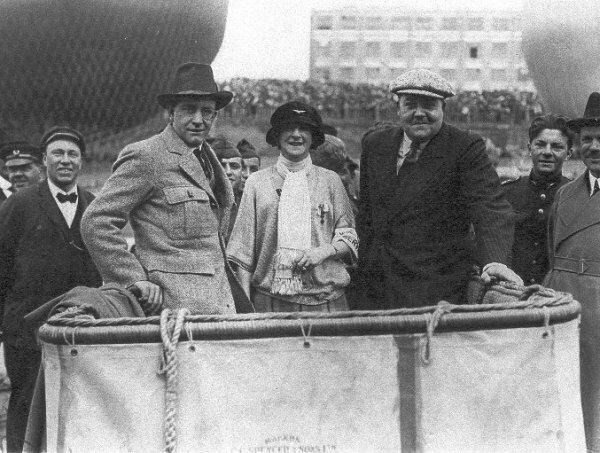 1926." This photograph was very kindly provided by Gordon Thompson (Senior), who is a son of Tommy Thompson, the Gamekeeper of Redburn House.